Connect Online. If you are a Facebook user, the easiest way to keep pace with the human rights landscape in Burma is to “Like” the Facebook pages of Burma advocacy organizations—for example, US Campaign for Burma—that publicize human rights issues and empower grassroots activists, worldwide, to address those issues collaboratively. Promote Diversity. For unbiased, issue-oriented news articles about Burma, “Like” “Irrawaddynews” on Facebook. Unlike Burma’s state-approved media, The Irrawaddy reflects, honors and promotes the country’s rich ethnic, religious and political diversity. Below are links to The Irrawaddy’s English and Burmese language website and Facebook pages plus links to websites that profile Burma’s largest ethnic groups. Explore Websites. If you aren’t into social media, you can always sign up for e-news from US Campaign for Burma, Burma Partnership, Burma Campaign UK, Network for Human Rights Documentation Burma, Fortify Rights, Human Rights Watch and other human rights “watchdogs.” See links below. Learn About Refugees. UNHCR publishes data and reports about refugees, asylum seekers, IDPs and stateless people in/from Burma. 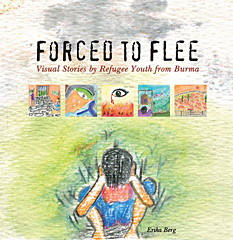 The Cultural Orientation Resource Center profiles the history, culture, religion, language, education and resettlement needs of refugees from Burma. Please explore the following websites for related details. Study Human Rights. Before you can help refugees defend their rights, you must know their rights. Watch “The Story of Human Rights” on YouTube and study the Universal Declaration of Human Rights and the Convention on the Rights of the Child. See web links below.